„Miss Zuckerwatte, I want to start cooking Japanese. What do I need for that?“. A good question. When I started to work myself into the Japanese kitchen a few years back, I was overwhelmed by all the possibilities – and simultaneous desperate by the fact that German sources on this kitchen are quite rare. By now I am surprised over and over how few different ingredients I really cook with, when I am cooking Japanese. Every time I use the same sauces and spices – the variation of the different dishes come from the fresh ingredients and the cooking method I choose. To ease your start into Japanese cooking I did my best to write down a summary containing all the things you might need, split into a few parts, and every one of them with a simple basic recipe at the end. You might see, that I classified some ingredients into other categories than other lists do, but that is because I wrote this list according to my cooking preferences and my own experience. I hope you won’t be confused by that. In this part of my pantry list I show you my top five basic ingredients that tend to be in almost every single Japanese dish I cook. In the next part we will be dealing with additional basic ingredients and go on to Japanese pasta varieties, fresh ingredients and other sauces and stuff you might need or be interested in. Generally I just can give you the advice to shop for Japanese ingredients in an Asian Supermarket. You will find the ingredients you can buy there are much more authentic, tastier and mostly even cheaper than in the „usual“ supermarkets that tend to sell sub-standard goods (and that for a much too high price). Soy sauce (vegan, sometimes gluten free). In Japan you don’t usually season with salt. You use soy sauce! Good soy sauce has browned naturally during production and usually costs a bit more, but it is worth it. Just buy a big bottle and one of these small ones for the table: You need soy sauce for almost every single recipe and there isn’t a replacement. Some producers sell less salted soy sauce and I personally like to use that for seasoning at the table. For cooking I still prefer the regular soy sauce. Always store it in the fridge after opening. Rice vinegar (vegan, sometimes gluten free). I know, I am repeating myself: Buy the one from the Asian supermarket! The rice vinegar you can get in usual supermarkets (at least here in Germany) is just not that good. In my experience you can substitute rice vinegar quite well with vinegar essence, mixed with water. (There is also a black rice vinegar by the way. This one has it’s origin in the Chinese kitchen, not in the Japanese, and you can replace it with a good Italian balsamic vinegar). Mirin (vegan, mostly gluten free). A very sweet, almost syrup-like Japanese rice wine. Don’t confuse it with the Chinese rice wine which tastes very differently. You can replace Mirin very well by using sugar, that you can dissolve in a little bit of water first, or runny honey. In some cases even sugar syrup or maple syrup can do the trick. Just like the soy sauce mirin should be stored in the fridge after opening. Kombu (vegan, gluten free). Kombu is dried seaweed and it is used for the most popular Japanese broth: the „dashi“. Pay attention to an almost powdery greyish-white veil over the kombu when you go shopping for it. The light powder is the umami and apart from that fresh ocean flavor the reason we want to use it for the Japanese kitchen. There is no replacement for kombu. After opening the bag place it into one of these zip lock bags for the freezer and store it in your pantry. Japanese short grain rice (vegan, gluten free). Rice means „gohan“ in Japanese what also means meal. 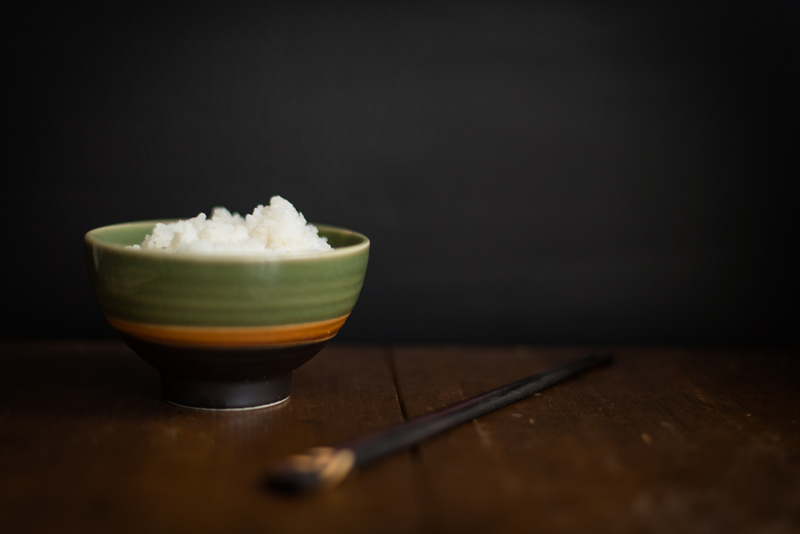 Not without reason: Rice has been the staple food in Japan for many, many years now and it is still very important. Needless to say you should always have a bag in your pantry. There are a lot of different qualities of short grain rice. In Germany you should not buy it in the usual supermarkets: The one you get there is almost impossible to cook well, it is way too expensive for that bad quality and it just doesn’t taste nicely. Go to the next Asian supermarket or store instead and try a few different types. You are looking for short, almost round grains. You can recognize high quality by the lacking of white fractures on the grains. And later by a mild, but nice flavor you just can’t get enough of. I buy my favorite rice in 10 kg bags by now. The cooked rice should stick very well but it should also be fluffy, not at all pulpy and it should taste nicely somewhere in between flowery and nutty. Put the rice into a sieve and wash it under running cold water until the washing water stays clear. Let the rice strain very thoroughly – best for at least 15 minutes. This step is really important if you want to cook your rice in a usual pot. If time is short I skip that step and directly put the dry rice into my rice cooker. In the rice cooker: Put the rice into your rice cooker, add 360 ml of water and close the lid. Switch the cooker on and wait until it is done. Fluff the rice a little bit with a spoon and let it rest for 10 more minutes before serving. In a regular pot: Put the rice in a pot and add 300 ml of water. Close the lid and bring the water to a boil on medium heat. As soon as the water boils switch the temperature to low and let the rice simmer for 15 minutes. 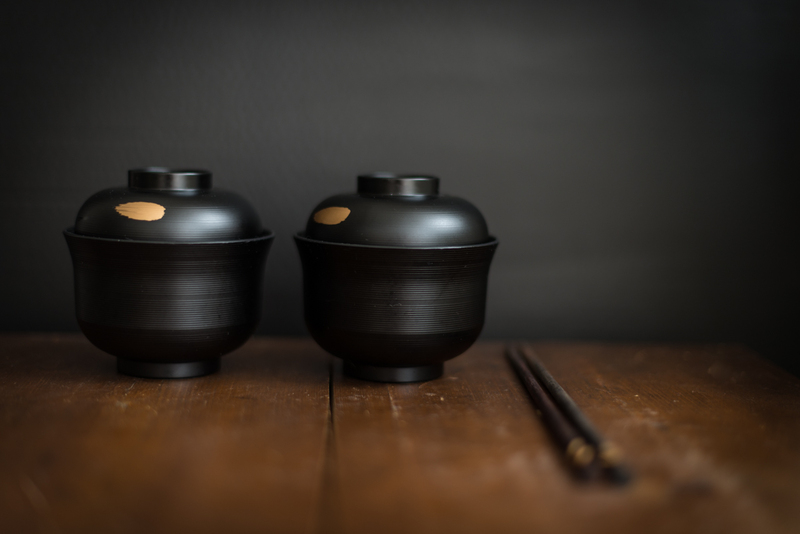 It is important to let the pot closed during cooking process, so the rice can be steamed properly. After the 15 minutes have a quick lock into the pot: If there is still a little water in the pot close the lid again and let it simmer for a few more minutes. If the water has gone take the pot off the stove, let it rest for 10 minutes and fluff the rice afterwards with a spoon. Serve with some scrambled egg, meat/veggies/fish such a bowl of rice is just a delight and also nutritive. 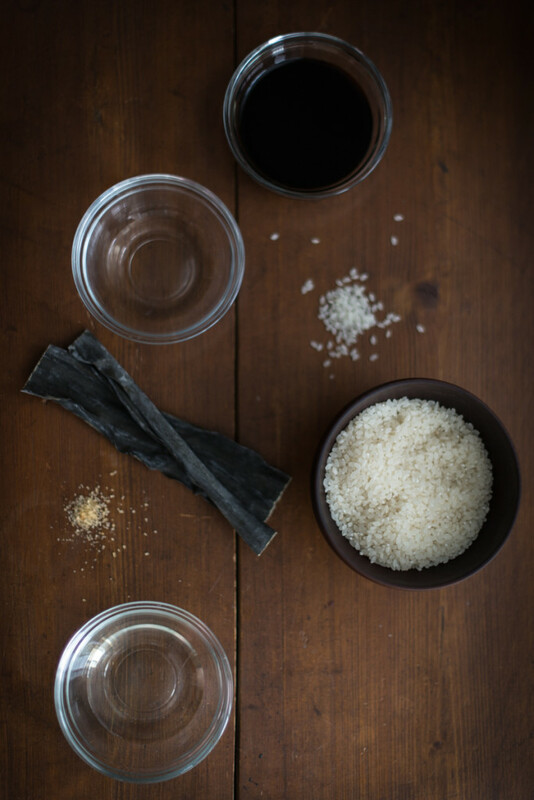 It you want to use your steamed rice for homemade sushi mix 20 ml of rice vinegar with 1 tsp sugar and 1/2 tsp salt and pour that mixture over the rice before fluffing it carefully with a spoon from time to time until the rice doesn’t steam anymore and has reached room temperature.